As a car-buyer in India, the answer to the question of "Which one?" is not an easy one to find and has become even more complicated in recent years. There is a torrent of rumours thanks to the uncertainty surrounding India's transport policy these days, especially around the death of diesel engines by as early as 2020 and the chants for electric vehicles as the new mainstay. After all, the car is an easy target when environmental concerns regarding air quality are being discussed, all of which adds to the confusion when buying a car. We can tell you with certainty that petrol and diesel engines are far from being dead. Sure, the upcoming BSVI emission norms would make them more expensive, but they would also ensure that these fuel types remain on the shelves for quite some time still. One does not need to venture into rural India to observe problems in electricity supply. Simply head to the outskirts of a Tier-1 city like Mumbai or to parts of the National Capital Region and you'll find that load shedding is a regular occurrence. The duration for these power cuts varies depending on the season with up to six to eight hours of load-shedding a day in the summer. Electric vehicles cannot reach a full charge quickly enough and even the fast charging options on today’s luxury cars like the Mercedes-Benz EQC and Tesla Model S require a minimum of 30 to 40 minutes for the batteries to charge up to 80 per cent. Change in any industry often depends on incentives to speed up the adoption process. In this matter as well, buyers would need added motivation to purchase electric vehicles, which in turn will push manufacturers to cater to that demand. However, that is unlikely to happen unless the government makes EVs more lucrative to buy through changes in policy. For instance, the country of Norway is one of the world's fastest growing electric vehicle markets as the government provides special benefits (tax deductions, toll waivers, registration fee waivers, free parking etc) for EV buyers. These benefits result in significant cost savings, which, in turn, motivates people to buy EVs, irrespective of their views on the environment. On the flipside, Norway does depend on its oil exports to fund these incentives and that's not an option for a country like India. But there are long-term benefits to these incentives, the cost of which can be recovered from vehicles that do pollute the environment with their high emissions. Currently, electric vehicles in India are taxed at 12 per cent under GST as compared to 28 per cent plus cess for petrol, diesel and hybrid vehicles. However, that is not enough to make the required impact. Perhaps a tax waiver, even if temporary, would further encourage more people to buy EVs who in turn can become advocates for the technology. The Indian government has made many statements expressing favourable sentiments towards electric vehicles, but nothing has been put down in policy. Even the 2030 deadline to make each new vehicle in India go electric was merely a statement, not a policy that car manufacturers could act upon. These circumstances make it difficult for carmakers, both foreign and domestic, to follow through and allocate the investment needed to develop and manufacture electric cars in India. The alternative would be to import cars. But with no exemptions in place, an imported electric car can easily cost more than twice as much as it would overseas. Thus, importing EVs would defeat the purpose of trying to make electric cars mainstream. We've already established that electric vehicles use expensive hardware and one of the most costly components is the battery pack. For example, when Maruti Suzuki launched the 2018 Ciaz facelift, the petrol versions witnessed a price hike of around Rs 65,000. This was due to the new lithium-ion battery that has been added exclusively to the Ciaz petrol's SHVS mild-hybrid system, which is an imported part from Japan. In order to make electric vehicles more cost-efficient, the batteries will have to be produced in India itself. These would also need to be extensively tested to cope with Indian weather conditions. 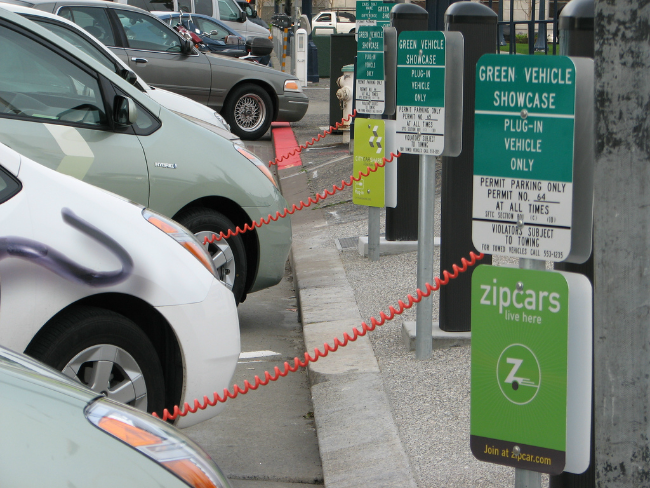 This would be a crucial step in making EVs affordable. At the moment, the biggest battery manufacturing companies of the world like BYD, Tesla and Panasonic do not have a base of operations in India. Thus the supply is almost entirely dependent on import. This would not be an ideal situation which puts us back into the same position we are in with petrol and diesel. Suzuki has already made a move on the matter, entering a joint venture with Toshiba and Denso to make lithium-ion batteries in Gujarat, which could motivate others to set up base in India as well. This is an obstacle for electric vehicles that many people may not be aware of. Dealers aren't convinced about electric vehicles and that presents a big challenge for carmakers. As it happens, a car dealer's main source of revenue is not from car sales, but from the expenses that surround the car itself such as accessories, insurance, service charges and others. Electric vehicle technology may be expensive but the car itself is very cheap to run. It doesn't have as many moving parts and fewer maintenance costs without the need for engine oil, injector cleanups or tuning. Wear and tear components like brake pads and tyres will still need replacing, but electric powertrains are a lot less complicated and far more efficiently designed in comparison to internal-combustion engines. Given the drop in service costs for electric vehicles, dealers will expect an alternative source of revenue. Of the various challenges to electric cars in India discussed till now, the lack of favourable infrastructure is the main concern for buyers. This contributes to the issue of range anxiety too as even in the major cities, there is little support for vehicle charging. This goes for residential areas, offices or even pay-and-park locations. On top of that, the actual charging stations are far and few in between. Fuel availability is a major deciding factor. The people need to be assured that they will not find themselves struggling to charge up their electric cars, without which the motivation to buy them will never arrive. Taking a look at all the factors we've discussed, it's evident that the shift towards electric vehicles will not happen overnight. Nations and manufacturers across the world are still analysing the costs and benefits of electric vehicles and India is no exception. The cooperation between the government, manufacturers and buyers is absolutely essential for EVs to become easy to buy and use while also creating an environment that makes these silent, zero-emission cars more desirable.